For how long can I work offshore? On the Dutch continental plate you are allowed to work for a maximum of 14 consecutive days on an offshore installation. After this period of time you have to rest for 14 days. My OPITO certificate is expired, what now? You can not attend the OPITO courses with a expired certificate. When you OPITO BOSIET is expired, you have to do the OPITO BOSIET again. Only when your OPITO FOET certificate is expired, you can do a request for dispensation till 3 months after the expiry date. You can download here the form for the request for dispensation. 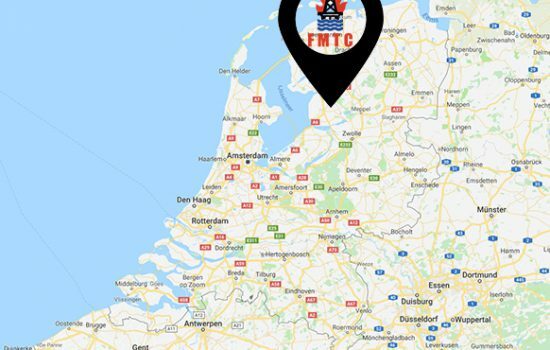 After you have filled out the form, please send it to info@fmtc.nl. When the dispensation is approved you can do the OPITO FOET course. What courses are required to be able to work offshore? In order to work offshore you have to have completed the course of “NOGEPA 0.5A Basic Offshore Safety” at least. My GWO certificate is expired, what now? Unfortunately, you can not attend the refresher courses. You have to do the basic GWO course again. GWO doesn’t know anything like dispensation like the offshore courses. WINDA is the registration system of GWO. When the delegate completed his GWO course, we add the course in WINDA. The delegate doesn’t receive a certificate of the course, only the a sticker and the registration in WINDA. First the delegate have to create a account at WINDA. Click here to create a account at WINDA. After the registration, the delegate receive a WINDA ID. We need the WINDA ID to add the GWO course at the account of the delegate. Every GWO course is registered separate, also the GWO Basic Safety Training. There is also a WINDA account for the employer, so he can check all the employees in WINDA. For more information about the organization account click here. For more information about the delegate account click here. GWO stands for Global Wind Organization courses and is the standard for the people working in the wind industry, both onshore and offshore. Are your maritime courses instructed according to the new Manila Amendments? Yes, all of our STCW courses are instructed according to the Manila Amendments 2010. What courses are required to be able to work in the maritime sector? In case you are going to work in the maritime sector, an STCW Basic Safety Training is required. When does my maritime certificate become invalid? 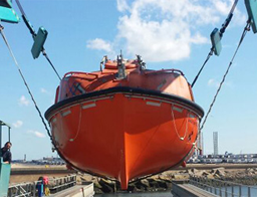 The certificates with STCW certification are mostly valid for a period of five years. These have to be renewed in time in order to keep them valid. In the period of five years you are ought to have been on a ship for at least 365 days. At what times will the courses be instructed? Can I attend fast-track courses? We can offer you a course which is specially designed to suit your desires. For more information about this option contact 020 – 811 43 32. Do I have to bring food myself or is this taken care of by FMTC? FMTC provides a lunch for you, moreover, coffee and tea is available. I do not yet have such a Personal Safety Logbook, what now? In what language will the courses be instructed? We expect the participants to understand and read the English language and also to able to speak English. In case there are no international course participants present, the course will be instructed in Dutch of course. Is it true that courses are never cancelled? Only when a certain training requires a minimum amount of participants, it can occur that when this minimum amount isn’t met, that the training can’t continue. In case a minimum number of participants are required, this will be indicated at the course information. When the course is cancelled we will either look for a new date or we will refund your money. All the other courses will never be cancelled! Is there a possibility to make an exam if I’m dyslectic or if I’m having trouble reading? It’s possible to attend an exam where everything will be read out to you. An oral exam is not an option however. What is Personal Safety logbook (PSL)? A PSL is a Personal Safety Logbook (safety passport). In this passport the courses which you have finished with a sufficient result and medical examinations are registered. Various courses require that you are in possession of a medical certificate; you have to bring this as well. The required safety materials and towels will be taken care of by FMTC. Where do I register on the training location of FMTC? On location you can register at the reception. You have to be able to show identification, which must be valid in the Netherlands. You can do so by showing us an identity document received by the government including a photograph. 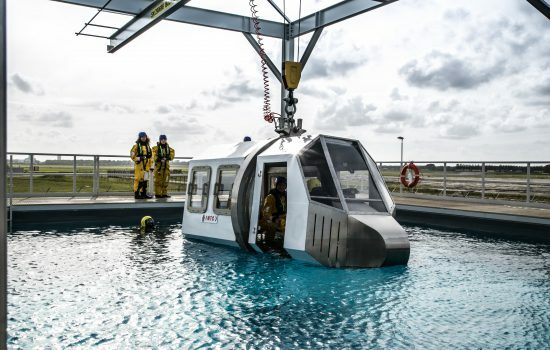 We offer courses in the following sectors: Offshore, Maritime, First Aid, ERO and Firefighting. In our supply of courses you can see the courses that we provide for you. Do I need to have a valid medical certificate for each course? For various courses, you need to be in possession of a valid medical certificate. If this is the case, it’s indicated at the course. In case you do not yet have such a certificate, FMTC can provide you with a medical examination. You can request for this in the booking form. All participants are required to sign a form on which is stated that the participant is fit enough from a medical point of view to take part in all parts of the course. How does FMTC deal with special needs? Participants of a course with special needs like, language problems, physically or medically challenged/limited or who require special care concerning religion or culture have to indicate so on the booking form. Note that if no additional agreements are made with the organisation, additional costs will be charged. I haven’t got a medical certificate yet, is it possible to obtain one at FMTC? We can make sure that you are examined before the course begins. For more information contact 020 – 811 43 32. What are the costs of a medical examination? The costs for the medical examination for the shipping business amount to €162,50. For the offshore business the medical examination costs €187,50. In case it’s the first medical examination of your life, an electrocardiogram to be made. The costs for this amount to €62,50 and have to be to be paid at FMTC. Can I pay at FMTC? Yes, you can pay cash or by card at our trainingcentre. How are the prices of the courses constructed? All the prices stated are per person, per course including lunch, coffee / tea, course materials, certificate and excluding 21% VAT, dinner, travel expenses, interpreter expenses, board and lodging. In case the course only consists of one day-part, lunch is not included. After you received confirmation of your reservation, you will receive an invoice. In case you receive the invoice per e-mail, you can pay with iDeal via the e-mail. You can of course also transfer the money directly to FMTC. Note to always mention your invoice ID clearly. What is the account number of FMTC? The IBAN account number of FMTC is NL38RABO0324879725 name of Fire and Medical Training Centre B.V.
After confirmation we will send you an invoice. You’ll have to pay this amount before the training starts. After confirmation you will immediately get the invoice mailed to you. Note that it’s possible that the e-mail will be sent to your spam folder. Can I book multiple courses at the same time? You have to register for each course separately. For the course Medical first aid and Medical Care we do offer the possibility of a combination course. It’s always possible to change or cancel a course. Until 24 hours before the course starts, there will be no costs charged when something is changed or cancelled. If it’s not done 24 hours before the course, the full amount will be charged. Can I contact you in any other way besides calling and e-mailing? During the business hours, our employees can always be contacted via online chat. In case you want to chat, click at the right bottom of the page to open the chat window and follow further instructions. In case you book on a date on the booking calendar which is directly available, you will immediately receive a confirmation e-mail. In case you choose to book on request, you will first receive a copy of your booking. We will consider your request and will contact you to discuss whether or not the course can be instructed on that date. For our supply of courses you can register for each course online. After filling in the registration form, we will contact you. We either confirm the registration or discuss the chosen options. How far upfront do I have to book a course? In case you choose for a course which is directly available, you can book until just one day in advance. In case you want to book on request, you do have to book in time of course. I haven’t received any confirmation e-mail yet, did my booking come through? In case you’ve booked, you should directly receive confirmation of FMTC. If you didn’t receive any e-mail, you can always look in your spam folder. It could be the case that your mailbox labels it as junk mail. I would like to have a course on the location, how do I indicate this whilst registering? You can always call 020 – 811 43 32 for more information. The other option is to write this in the ‘comment box’ on the registration form. One of our employees will contact you to sort everything out. Is it possible to book a course in the evening or in the weekend? We can offer you a course which is specially designed to suit your desires. For more information about this option, contact 020 – 811 43 32. Is it possible to book a private course? In case you are interested in taking a private course, contact 020 – 811 43 32. What if the date I requested is not an option? In case the requested date is not an option, we will always contact you. Together with you, we will look for a date which is suitable for both parties. Has my company got the obligation of having an ERO? Yes, in the ‘Labour Law’ it says that every employer is obliged to be well-prepared for accidents, fire and evacuation. How many ERO’s do I need in my company? The amount of ERO’s depends on the risks that are present. There must be at least one ERO at all times. I do have my First Aid certificate but not my ERO certificate, is this fine? Despite your First Aid certificate, an ERO must be present at your company. The reason is that during ERO courses, you are trained to extinguish fires as well. I will attend the course with more people, can I book separate rooms? The rooms we book for you and your colleagues are always single rooms. Is it possible to book overnight accommodation? This is certainly possible! We have deals with various hotels nearby; you’ll be able to spend the night close by for a good price. Is it possible to have dinner somewhere?